PHILIPSBURG - The Bank of Nova Scotia management requested a postponement of its meeting with the Council of Ministers, which had been scheduled for Friday, December 7. Prime Minister Leona Romeo-Marlin told reporters on Wednesday that the bank had requested the postponement of the meeting and indicated that a new meeting would be held in early 2019. The reason for requesting the postponement was not mentioned. The Central Bank for Curaçao and St. Maarten was supposed to have been present at the meeting. Scotiabank was expected to update St. Maarten authorities on the pending sale of the bank during the meeting. Scotiabank announced recently that it is exiting nine Caribbean territories (St. Maarten, Anguilla, Antigua and Barbuda, Dominica, Grenada, Guyana, St Kitts and Nevis, St Lucia, and St Vincent and the Grenadines), and has entered an agreement with Trinidad-based leading financial group Republic Financial Holdings Limited to purchase its banking operations in what it called its non-core markets for US $123 million. 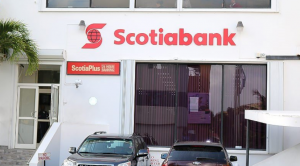 Scotiabank Managing Director for Caribbean East David Parks had told The Daily Herald recently that workers at the two Scotiabank locations in St. Maarten will be joining Republic Bank, subject to regulatory approvals, following the sale. The bank is expected to change its name to Republic Bank after the sale transaction. Parks made clear that all banking operations will continue normally in the various jurisdictions, including in St. Maarten.